Puller-bungs have transformed polefishing since they first appeared 10 years or so ago, allowing big fish to be landed on much lighter tackle than previously possible. The simplest form of puller bung features a hole surrounded by non-stick PTFE material. 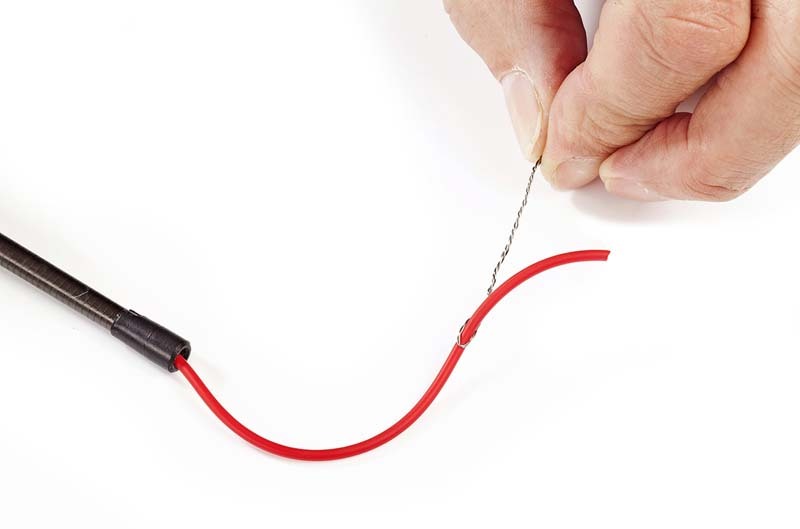 1: Thread a diamond-eye elastic threader through the puller-bung exit point near the base of your pole’s No2 section and out through the section’s thin end. 2: Thread the elastic through the diamond eye and pull the threader back until the elastic emerges from the puller-bung exit point. 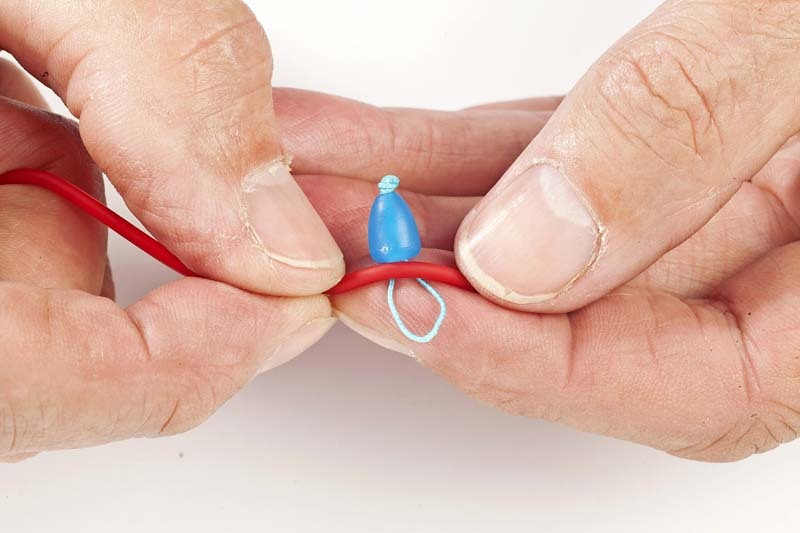 3: Thread a small bead up the elastic at the puller-bung exit point end tie a large bulky double overhand knot to secure it. 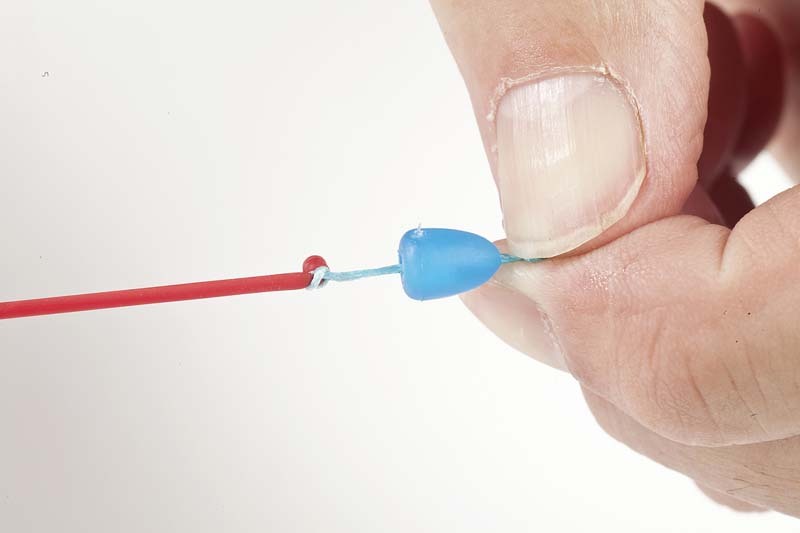 4: Now use the threader again, this time to pull the other end of the elastic through the pole’s tip section and out of the end like this. 5: Assemble your top-two kit and pre-stretch your elastic 12ins at a time. This will reduce elastic droop once you start fishing. 6: Cut the elastic with 3ins protruding from the tip. 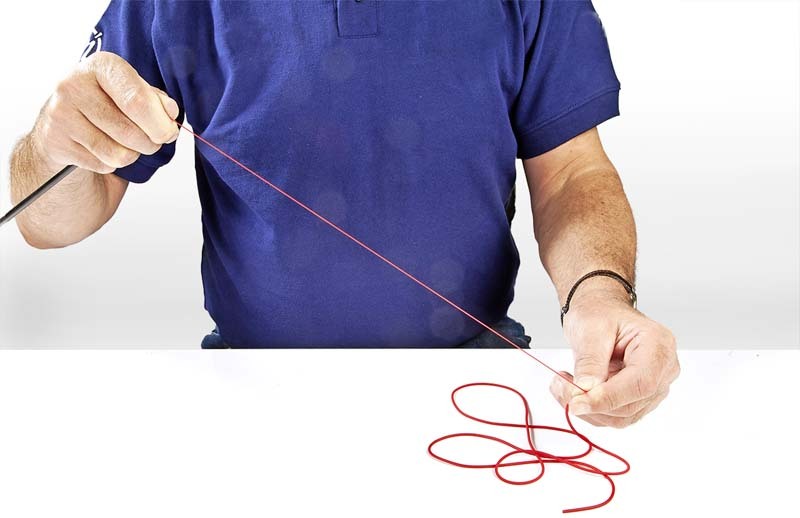 Now tie a knot close to the end and attach your chosen connector – this is a popular Dacron version. 7: Once the connector is attached, slide the Dacron to the knot, trim the elastic and slide the plastic part of the connector over the knot. 8: The finished connection is neat and reliable. If the elastic hangs out a bit, remove the connector, trim the elastic and attach again.